Timed to publish with the release of the hotly anticipated third and final entry in the series Batman: Arkham Knight, this book is the first official look behind the scenes of one of the most critically acclaimed and bestselling video-game series of all time. 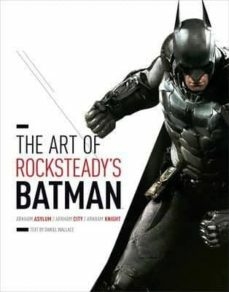 Collecting the best character sketches, concept art, background paintings and more from all three of Rocksteady's Arkham games--Asylum, City, and Knight--The Art of Batman: Arkham Trilogy takes fans through every stage of the creative process. Key creative and development talent offer commentary through exclusive, candid interviews, making the book the definitive look back at seven years of gaming innovation that have helped reimagine the Batman mythos in yet another iconic incarnation.